sther Nakisige, a beneficiary of the MUIIS farmer information service, checks her phone at her home in Iganga District, Uganda, on February 14, 2019. Peter Alisengawa, a farmer in Namungwale village in eastern Uganda, was struggling to grow enough maize to support his family a few years ago. Despite getting regular advice through his local cooperative, he could not afford to act on it. 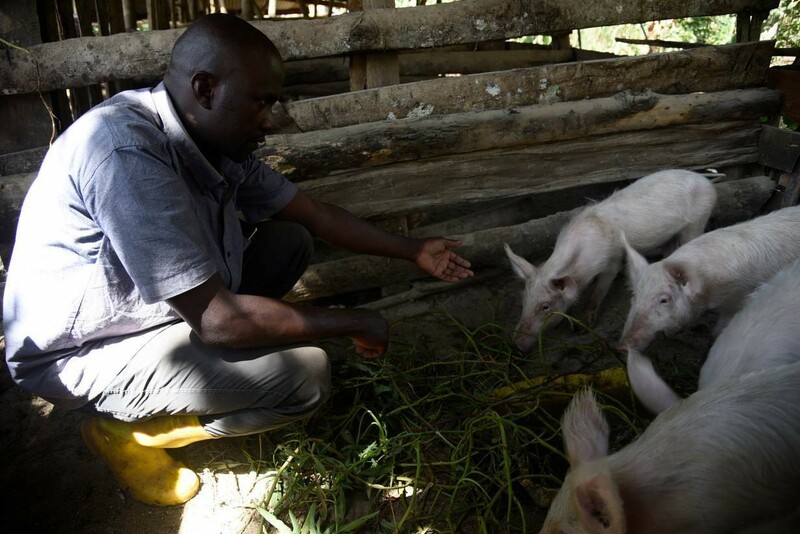 Peter Alisengawa, a beneficiary of the MUII farmer information service, feeds his pigs at his home in Iganga District, Uganda, on February 14, 2019. 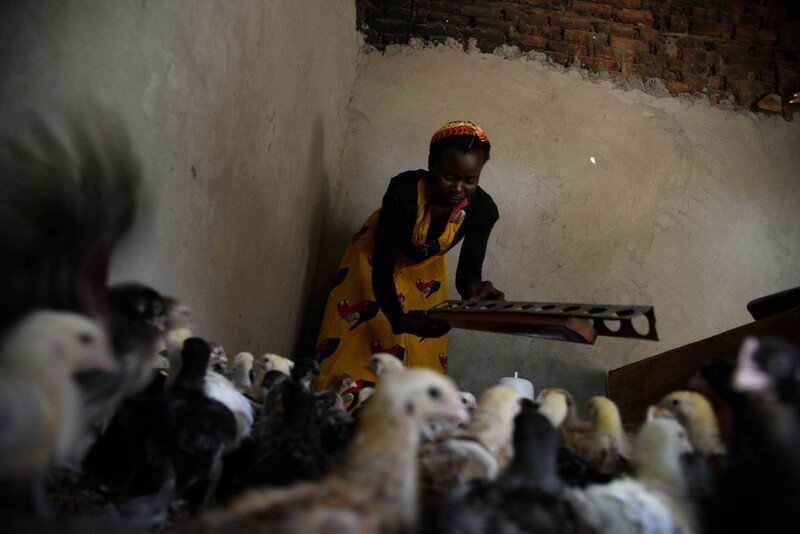 Esther Nakisuyi, a beneficiary of the MUISS farmer information service, checks on her poultry farm at her home in Iganga District, Uganda, on February 14, 2019. 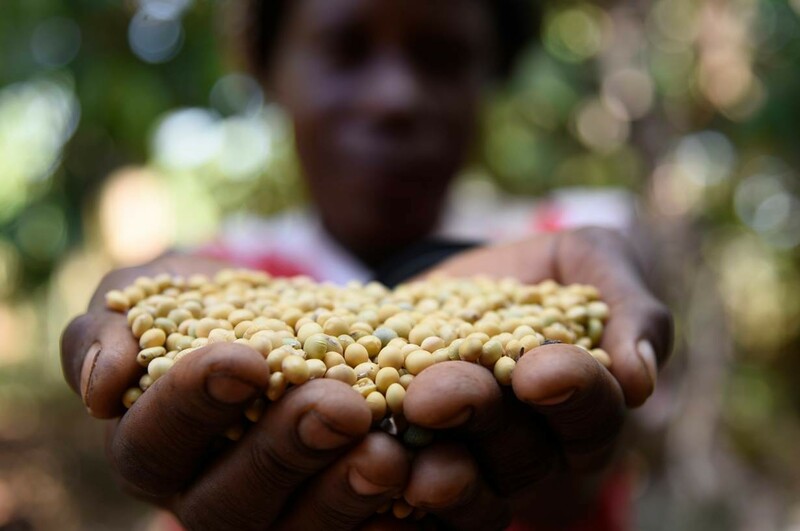 Joweri Byobana, a beneficiary of the MUISS farmer information service, holds freshly harvested soya beans at her home in Mayuge District, Uganda, on February 14, 2019.